Now that I’ve given you my thoughts on Fashion Week and the ladies it’s time to give the guys a break, so for all you male fashion plates I decided to check out the latest fall accessories at the MRKET trade show held in the Javits Center. Let’s face it, most of you aren’t going to run out and buy a whole new wardrobe but you just might want to update your look with a new pair of gloves, carryall, tie, shirt, briefcase or hat, etc. While there I even managed to scope out the latest in grooming products from AMERICAN CREW. The brand’s latest offerings are focused on styling gels from light hold to firm (I’m thinking super glue strength here) and everything in between. Seems you gents are just as vain as we ladies are. Now that we’ve gotten that out of the way, let’s move on to the nitty gritty or those lines that stood out. EMANUEL BERG is the first place I’d send my better half if he wanted the finest in made-to-measure shirts. This family owned company offers an enormous range of different fabrics, collar and cuff styles and embroidered monograms in 20 colors and 8 different fonts. I mean, talk about exclusivity and pure luxury. In addition there’s a gorgeous selection for the ladies as well offered in crisp cottons and silk that struck my eye and with the range of almost 800 (that’s not a typo) different fabrics Emanuel Berg can deliver true array of shirts and blouses. Now that we’ve settled on the shirt we must move on to a custom-crafted carryall to pack it in and LIBERO FERRERO has a beauty called the Oak & Eddon bag. This classically understated vegetable tanned leather bag is sophisticated and fully functional. It features a padded internal laptop sleeve and roomy pockets and is a perfect choice for the business traveler with adjustable shoulder strap and accommodation for a 20” laptop. 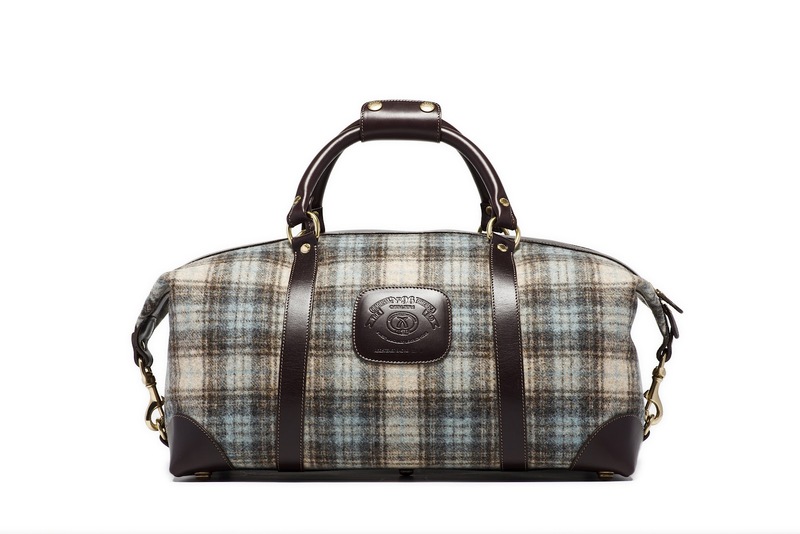 Looking for something more casual, then checkout the Duffle, in black cherry, ink or hickory leather trimmed grey wool. The best part of the collection? Every item is made in the U.S. See what all the shouting’s about at www.LiberoFerrero.com. MOORE & GILES also wowed me with their vegetable tanned leather bags, wallets, portfolios, briefcases etc in the Legacy collection. There are also some terrific sporty totes, shoulder bags and practical and pretty clutch wallets that feature a vintage floral pattern on the inside. I want this in either the sierra red, gold or purple. Another great collection to check out at www.mooreandgiles.com. While it’s hard to go wrong with anything that GHURKA produces I fell in love with their 21” weekend Cavalier duffle. Sure you can have it in classic leather but why not go for one of the highland plaids or the sophisticated grey houndstooth. Naturally all have leather handles and trim. Fall in love with the collection at www.ghurka.com. For 180 years, WOOLRICH the original outdoor clothing company has had a reputation for quality, reliable clothing and accessories that endure. The fall 2012 accessory collection continues this tradition with understated (never trendy) gloves, socks, footwear, bags, belts, hats and wallets. You name, they’ve got it. For some reason I tend to gravitate towards the bags (no surprise there). 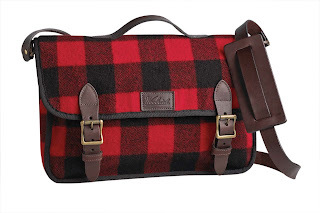 This season my eye fell on the Allegheny double field bag in red/black buffalo check wool. 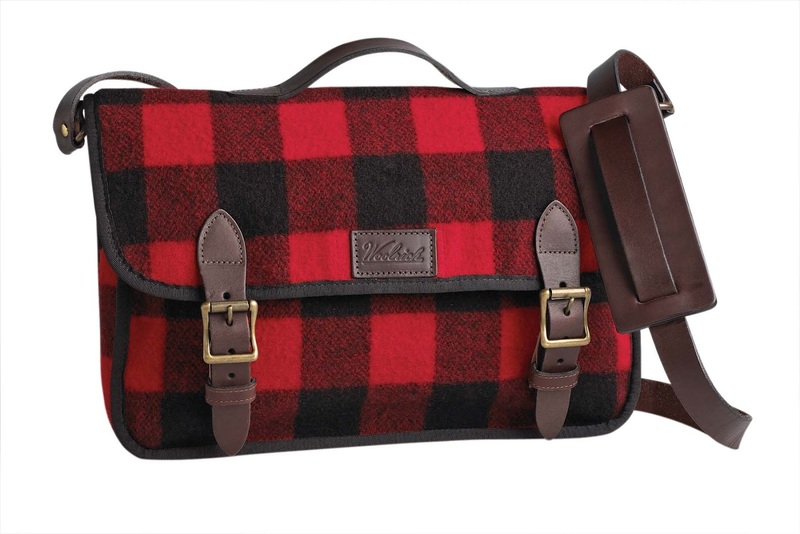 It features four exterior pockets and adjustable bridle leather shoulder strap, top handle and trim. The matching check knit hat gives off a downtown cool vibe. I spotted one of the handsomest laptop computer bags from Montreal-based company, FULLUM & HOLT. In Italian vegetable tanned leather and Vachetta leather, this stunner can be opened flat with two-way zip closure and collapsible handles. The interior has a padded sleeve, key hook and compartments to accommodate documents, phone and keys. It’s available in black and tan. Also noteworthy is an Italian leather iPad book-style case with signature tab closure and convertible handle that can adjust to lie flat or be hand held. For more info go to www.fullumandholt.com or www.fullumboutique.com.